There are a couple of articles that express doubt about this find. First, the Institute for Creation Research (ICR) posted an article Tuesday entitled Chinese Explorers Claim Noah's Ark Find, in which Dr. John Morris expresses uncertainty about the find. Second, the Christian Science Monitor posted an article yesterday entitled Doubt Cast on Noah's ark found in Turkey, in which Dr. Randall Price of Liberty University is cited as expressing some grave doubts about the authenticity of the find. e-Sword, what I recommend as the best free Bible study software program, has been updated and now includes the capability to highlight and mark in commentaries and dictionaries. Enjoy! I first saw this video over at Jonathan Christman's blog. In it Al Mohler, R.C. 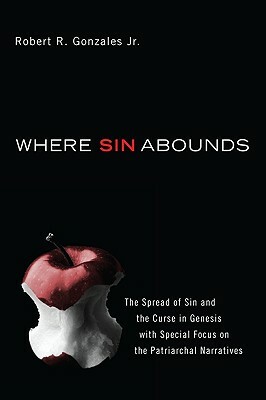 Sproul, and Ravi Zacharias offer illuminating commentary on Post-Modernism and the Emergent Church. We would all do well to heed their wise counsel concerning this twin threat to the Church. Another factor that sometimes blinds scholars to the spread of sin theme in the patriarchal narrative is an inordinate emphasis on or exaggeration of the piety of the patriarchs. Of course, the patriarchal narratives as well as the rest of Scripture bear witness to the exemplary faith and obedience of these saints. Yet Jewish and Christian exegetes have sometimes stressed patriarchal piety to the point of minimizing or excusing the patriarch's faults. I am thankful for Gonzales' reminder of this important fact, and, as I have already noted, I am certain that his book will be on my short list of volumes for the study of Genesis. I have scanned through much of the book already, and now I am thoroughly reading through it very slowly, taking the time to soak in as much as I can (still only in part two! ), but I have been very impressed. I recommend the book to all, even if it is just to balance out the rest of the works on your shelves, which is important in and of itself. 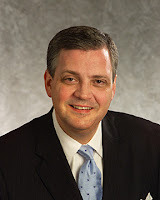 Earlier today Dr. R. Albert Mohler, Jr., president of The Southern Baptist Theological Seminary in Louisville, Kentucky, posted an excellent article entitled Render Unto Caesar? On Paying Taxes After Obamacare. In the article Dr. Mohler argues on the basis of such passages as Mark 12:7, Romans 13:1-7, and 1 Peter 2:13-14 that Christians are required to pay their taxes even if the government is corrupt and uses some of the tax money for evil purposes. With the power to govern comes the power to tax, and government is a divinely-ordained institution. Christians are commanded to pay taxes, and were commanded by Christ and the apostles to pay taxes even to a pagan government involved in immoral and ungodly policies — including the oppression of the Jews and the nation of Israel. Thus, the question of paying taxes after Obamacare is put in its proper perspective. There is no Christian mandate against tax avoidance — which is the use of lawful and legitimate measures to limit tax exposure. In other words, Christians are not mandated to seek to maximize their tax bills. But tax evasion is another matter, as is tax resistance. Those who seek by illegitimate and illegal means to resist or evade taxes run into direct confrontation with the commands of Christ and the teaching of the apostles. We do not “render unto Caesar” because of our confidence in Caesar. We render unto Caesar what is Caesar’s, because we are committed with our lives and confidence and consciences to render unto God that which is God’s. For those who may be interested, I have dealt with a similar issue, namely whether it is right for Christians to rebel against their government, in a February 6 article entitled The American Revolution: Was it Biblical? For those who have wondered what happened to Dr. Belcher of late, he has been busy working on books and speaking engagements. 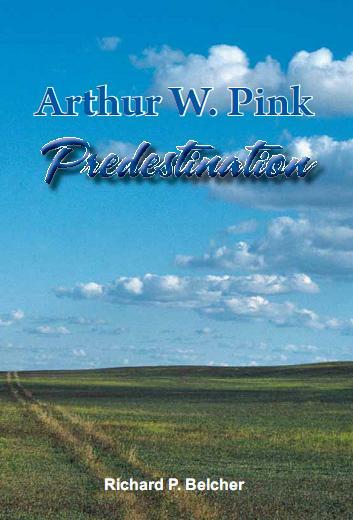 After having recently published his latest Journey book (A Journey in Dispensationalism), I am pleased to tell you that he has now also published a new, updated edition of his book Arthur W. Pink---Predestination. Does Not Cause the Will of the Creature's Actions! The paradox was reversed again and completed, when just a few years after his death, he was vaulted to prominence and esteem in a manner never afforded him in his life. That which lifted him to recognition and appreciation was the publication of his writings that previously had only been read by the faithful advocates of his periodical. Now his books (see several bibliographies listed on the Internet) have been printed in great number by several publishing companies. They are found on the shelves of nearly every pastor's study, and also in the collections of numerous laymen. This is not to say that every pastor or layman agrees with Pink's writings. There is a central theme running through his works that was partly responsible for his lack of popularity during his lifetime. That central theme is the doctrine of predestination. A reader does not progress very far into any of his books until he is confronted with references to election or predestination or discussions of these subjects. For example, in what was probably his earliest book, he mentions the subject of predestination on the first page of the introductory chapter. In what was probably his last work, the subject is introduced on the second page of the introductory chapter. In the remainder of those two books and in his other works, the subject surfaces again and again, giving clear evidence that the doctrine of predestination was a key doctrine in the theology of Pink, even perhaps the central and foundational doctrine. No one will deny the controversial and difficult nature of the subject of predestination. It is a very difficult doctrine to understand or to explain. It is no wonder that men often balk with questioning minds when they read Pink's works and are faced continually with references to the subject. Often Pink makes passing reference to the doctrine, as he applies a verse or section of Scripture. At other times he goes into a lengthy discussion of the subject, as he expounds a text. Because of the centrality of the doctrine in Pink's writings, and the numerous references to predestination, it is a common statement by new readers of Pink that they like his writings, but do not agree with his strong view of election and predestination. Hyper-Calvinism is a little more difficult to define in a way that would be satisfactory to all. In fact it would be impossible to define it in a manner that would be acceptable to all. The present writer would define hyper-Calvinism as a view of predestination that would deny or minimize the human responsibility to repent and believe the gospel, because of an inability to do so in light of the doctrine of the total depravity of man. Furthermore, hyper-Calvinism would deny the necessity of a universal offer of the gospel to all men, because it is felt that God will call out the elect in His own time and manner. Thus hyper-Calvinism denies the necessity of our applying the means to accomplish the will of God, because it is felt that the will of God will be accomplished---regardless of human means! Therefore, we have many questions to ask as we read Pink and seek his view of predestination---not just the ones already mentioned, but even others. To name several, we shall look for answers to the following questions as we study Pink's writings. Did he deny that all men have a responsibility to repent and believe the gospel? Did he deny our responsibility to offer the gospel to all men? Did his view of predestination make God the author of sin? Did he believe that God's decree of predestination brought force on the will of the creature? Did he teach a view of predestination that destroyed the contingency of causes? Did he believe in single or double predestination, that is, a predestination of the elect only or a predestination of the elect and the reprobate? Was he committed to the view of infralapsarianism (the decree of God to elect some followed the decree of God to allow the fall of man) or was he supralapsarian (the decree to elect preceded the decree to allow the fall)? Thus, we could continue to ask many questions of Pink's view of predestination. The point is that one cannot say he agrees or disagrees with Pink on the subject of predestination until he understands his view. Even then, it may be one will agree with some points of his view and disagree with others. The purpose of this work is to set forth clearly Pink's convictions on the subject, because the present writer is fearful that both Calvinists and non-Calvinists have at times misunderstood him. We will deal with Pink's doctrine of predestination under two main headings. First, we will define his view in a general manner and clarify this definition further by some positive and negative statements. The second main division of this work will deal with Pink's view of predestination in the areas of election and reprobation. The conclusion will summarize Pink's doctrine in this area and test it against one of the well-known Baptist confessional standards. One already familiar with that confessional standard will notice terminology and phraseology from these documents throughout this work, even perhaps in the outline, as it unfolds. This is intentional, because in its earliest form these thoughts were expressed in a doctoral dissertation, which compared Pink's view of predestination with the Westminster Confession of Faith. It is truly the hope of the writer that his presentation of Pink's view of predestination will carry the warm and encouraging practicality for the Christian in his daily life, as it did for Pink. He was not a writer and theologian, who coldly set forth a doctrine in a dead and mechanical way. Rather, all he wrote was for the purpose of feeding the people of God. Theology not applied was an abomination to him. He obviously applied this doctrine of predestination to his own life. It was the foundation that enabled him to remain faithful through his many discouragements, especially the apparent failure of his pulpit ministry. This was the doctrine that kept him at his desk writing twelve hours a day, six days a week, even though few at that time cared to read what he wrote. He was convinced he served a sovereign God, and it was his duty to obey Him, even when he could not understand all God was doing in and through his life. One final word to the reader is necessary before we proceed---a word of caution and warning. We are entering a very difficult subject area, an area which raises many questions and controversies. May we allow the Word of God to speak to us. May we constantly weigh what Pink says on the subject against the Word of God. This would be his desire for us. And if, when our task is finished, we do not agree with Pink, may we not allow our disagreement with him or with one another to divide us in the body of Christ. No one will ever find anyone who will agree with him in every minute detail of theology, especially in the area of predestination. As you can see, Arthur W. Pink---Predestination is as much a Biblical and theological study of the crucial doctrine of predestination as it is a study of Pink's view of it. Pink's view of predestination is the focus of the book and the lens through which the Biblical doctrine is viewed and revealed to the reader, but at the same time the reader gets a solid overview of all the various aspects and issues of the doctrine. This book helps the reader to get a clearer understanding of a man who is often misunderstood, but whose legacy has helped to lift many pastors and churches out of the anti-theological, anti-Calvinist doldrums that have plagued them for so long.